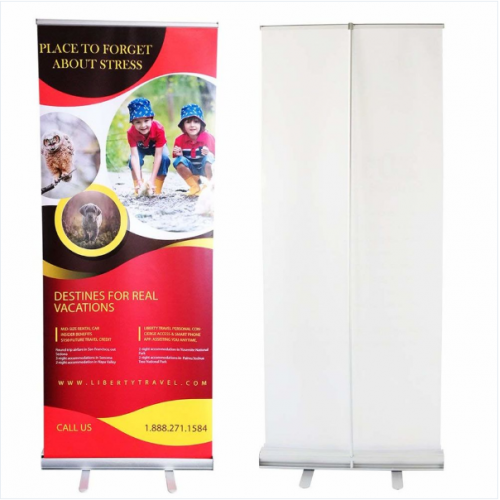 Retractable Roll Up Banner Stand Promotion Sign Holder for Trade Show, Comes with A Carrying Bag, Aluminum Structure Base, Banner Size 33"x 79"
Larger volume purchase or want to resell, please negotiate with the seller. 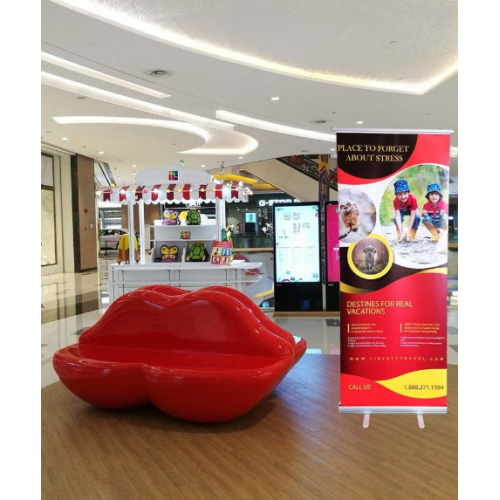 Haitian Roll up Banner Stand is easy to use and convenient to be carried around the trade shows and presentations. A padded carrying bag comes with it for a good protection during travelling. Banner size: Please note that this is not adjustable and the best banner size is 33" (width) x 79" (height). 33" width is able to be smaller but the height is fixed. 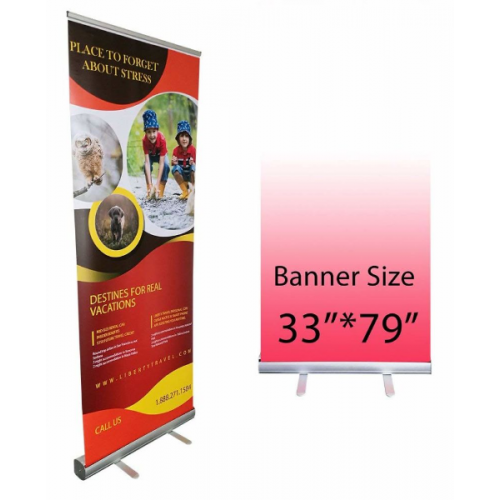 Banner Thickness: The printing material thickness should be limited to 240gsm (200gsm recommended). If a thin and glossy film is used, the top clamping bar may not be able to grip it. Please apply an adhesive tape on the edge of the banner. 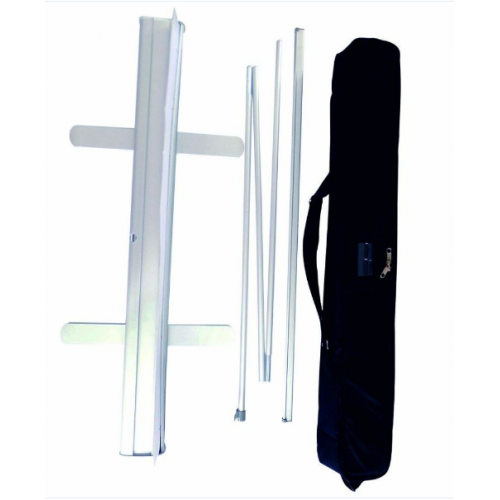 Your banner shall be stuck onto the pre-applied adhesive vinyl of the retractor. A safety pin at the side of the base stops the retractor from rolling up. Please be noticed to grip the vinyl before taking the pin out, or the vinyl would get sucked into the housing and difficult to have it out. The top clamping bar consists of 2 pieces of aluminum extrusion working together to hold the banner in place. The banner stand would lean back 5 degrees to offer a better view when it is erected.